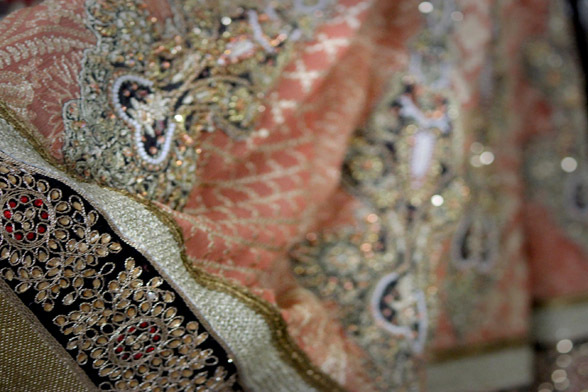 Deepak Perwani Bridal Couture Week 2014 Preview! 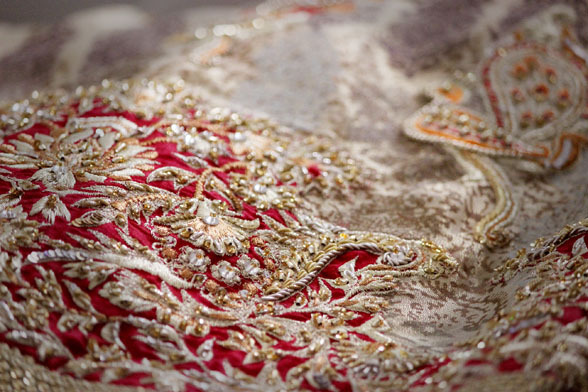 Deepak Perwani will be presenting 'Ottoman Odyssey' at the upcoming Finale of Bridal Couture Week 2014 this Sunday in Karachi. The veteran bridal designer has consecutively ranked amongst the best bridal showcases in previous years and by the looks of it this time will prove to be no different! 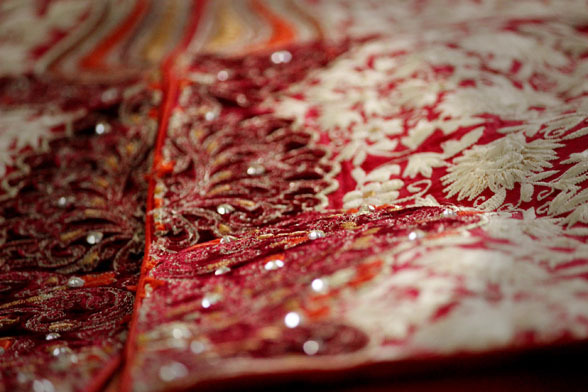 A glimpse at close ups from the collection reveal stunning aesthetics in soft pastels and rich festive reds set in a careful matrimony of thread work, embellishment, and screen print that have become the signature of the House of Deepak Perwani. The designer employs a profusion of rich fabrics and techniques including net, tulle, organza, silk, chamois, digital and screen printing, and intricate hand work and exquisite block prints to define the mood of this collection hailing from the bygone Ottoman empire, the Silk Route, and the Sub-continent. Stay tuned as we bring you the complete runway collection after the showcase! 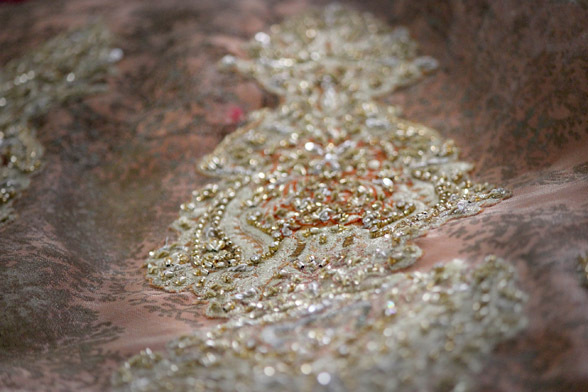 Preview of Umsha by Uzmar Babar at Upcoming Bridal Couture Week! 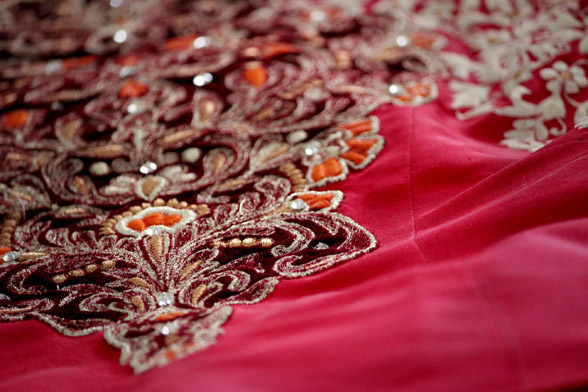 Hina Mirza Online Estore Sale! The Friends of Shaukat Khanum to host second Festival of Life! 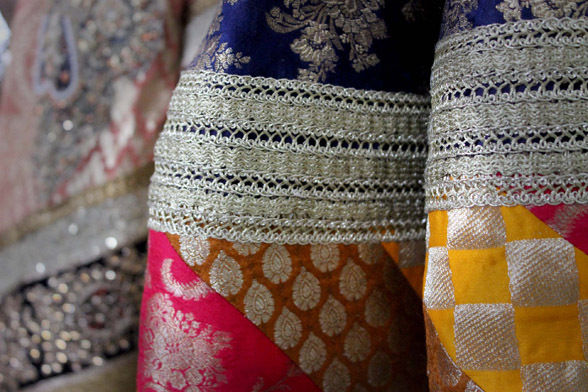 A day of Fashion, Fun and Festivities in Lahore on 23 February 2014! Daaman Summer Sale 50% Off Everything! Mango Sale Upto 50% Off Continues!